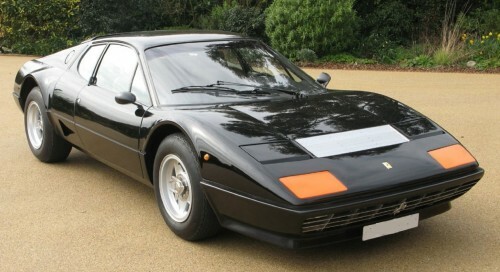 The ground breaking Ferrari 512 BB evolved from its sibling the 365 BB and with its enlarged mid-mounted V12 engine is one of the most memorable Ferrari’s from the 1970s and 1980s. However, the original ATE Ferrari 512 BB brakes (shared with the Daytona) were always heavy and a little lacking in stopping power. Furthermore, the diminutive 15″ Campagnolo wheels fitted to the car have always limited the choice when it comes to upgrading the calipers, especially if the ‘standard’ look of the car was to be retained. In response to the need to improve the Ferrari 512 BB brakes Fosseway Performance has developed a new caliper for Ferrari applications. This new caliper is designed specifically to replace the Ferrari 512 BB brakes and features a lightweight four pot caliper body with increased pad area and the essential dual brake hydraulics featured on these cars.